This is a review of recent developments in glass technology, where advances in fabrication technology and the discovery of new glass-forming compositions have considerably expanded the applications of glasses. The contributions have been written at a level appropriate for new graduates. The first part of the book concentrates on new fabrication technologies, particular areas of interest being rapid solidification, sol-gel and glass ceramics. 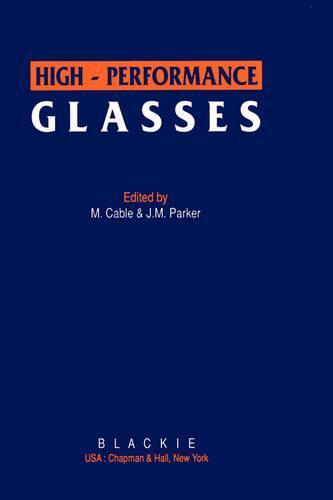 A chapter on coatings then discusses the ability to control the properties of glass by designing an appropriate surface, which is of increasing interest in architectural glass, optical glasses and lightweight glass bottles. The focus of the second part is on new compositions or improvements to existing glasses, which have been developed for new applications. There is discussion of fabrication technology, how particular compositions have been optimized to match property requirements of intended applications, progress in achieving the intended purpose, and current key areas in research and development. The book is intended for scientists and engineers studying and using advanced glass and ceramic materials, and as a work of reference for advanced students.